Whether you need a couple of PCs installed and networked, or require a complete system for a new building or an office move, we can supply a high–performance and cost–effective structured cabling solution to meet your business network needs. Camden High Street Dental Practice is extremely busy dealing with patients all year round providing highest standard of services. To keep this level of service all the time we rely on technology. View IT Support acts as our IT Department and has proven record in making this possible. We joined View IT Support in 2005 and ever since IT-related problems have become something of a past. 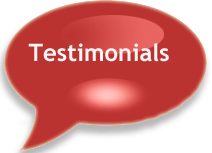 We will definitely continue using their invaluable services and recommend them to others.